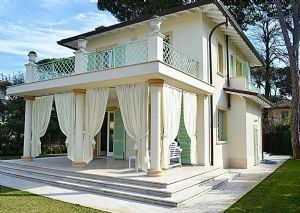 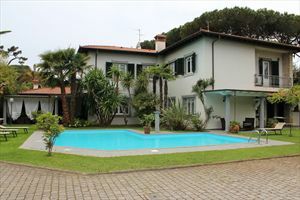 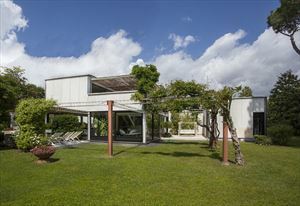 Marvellous villa with swimming pool with a large park of 5000 square meters, a few steps from the sea. 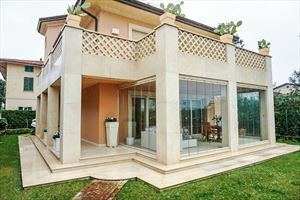 The Villa is disposed on two levels, both above ground, and also comprehends an external dependance disposed on two levels with a double room with private bathroom with shower, reserved for service staff. 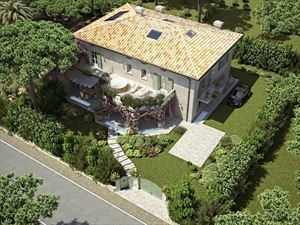 Ground floor: entrance hall with living room and dining room with kitchen, two double bedrooms with private bathroom with shower. 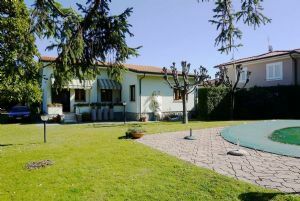 Attic floor: Three double bedrooms with three en-suite bathrooms. 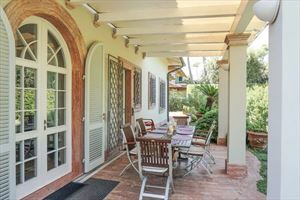 The Villa is also equipped with automatic gate, alarm system, outdoor gazebo with garden furniture and sun loungers and outside dining table on the flourished porch.